Elizabeth Ride: Extracts from reports in the BAAG Intelligence Summaries. Layout [Map reference 192583: GSGS 3868 1/20,000 HK&NT]. 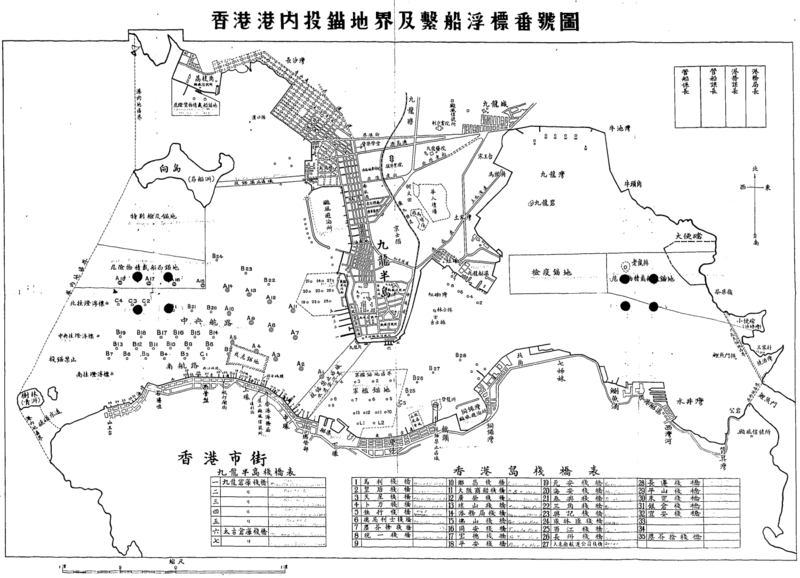 Sketch not found, but this Japanese map of the harbour and facilities may contain some information to readers of Japanese. Miscellaneous: Teachers (?) (96), Nurses (2), General duties (20), Guards (11). The number of workers was reported to have declined considerably in the latter part of 1944. 4. Among ships seen in dock in 1942. Among ships seen in dock in 1943. 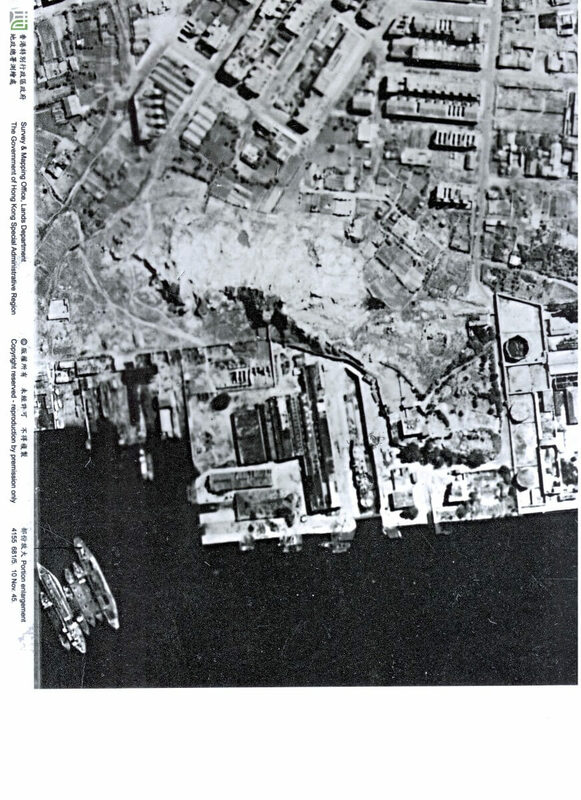 Among ships seen dock in 1944. 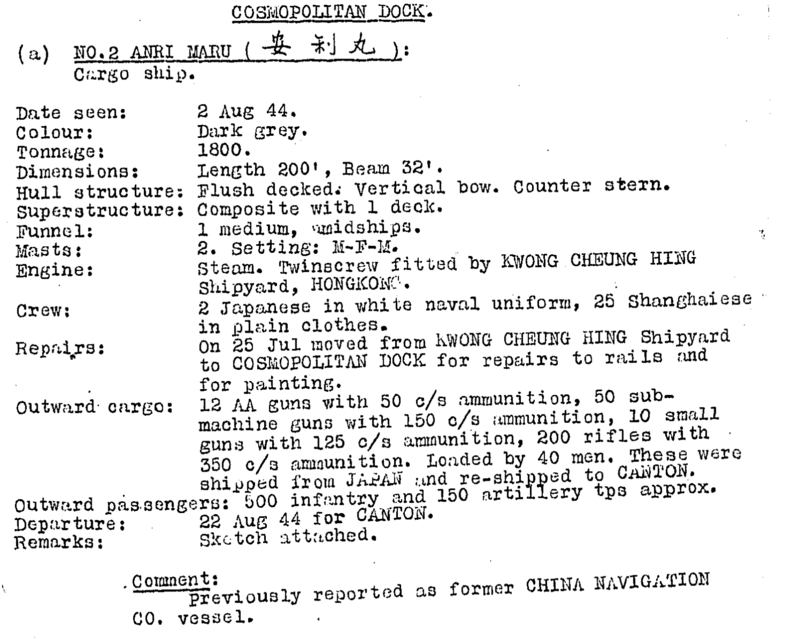 Shirogane Maru (moved to Kowloon Docks), Anri Maru, Kainan Maru, Gyoun/Agekumo Maru, Hitsu Maru, Eishun/Nagahara Maru, Nanhatsu/Nanbatsu Maru, Kinsan Taishan Maru, Gyokaku Maru, Toko Maru, Hakko Maru, Haaruzu Kamikaze Maru, Koichi Maru, Hahashi Maru, Hosei/Toyoshige Maru, Mutsumaji/Mutsu Maru, Goro Maru, 2 gunboats. 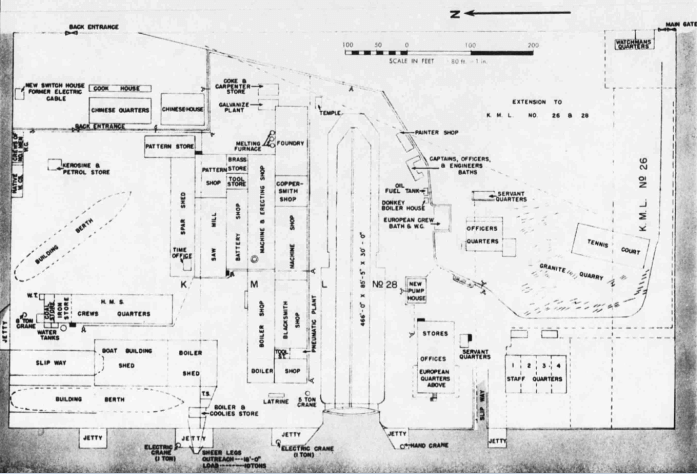 Craig Mitchell has provided this plan, dated 4.13.43. Craig says it is almost certainly USAAF, that the Americans updated the bombing maps as intelligence was gained, and that he suspects they got a lot of help from the British.